The law office of Noriega & Oldaker, PLC provides exceptional representation in the areas of business law and civil litigation. We are dedicated to providing excellent legal services to our clients in an efficient and cost-effective manner. We maintain a lower overhead than other firms of comparable size and at all times remain conscious of the cost to the client. We openly discuss the expected cost of services and confer with our clients regarding strategy and objectives and only perform the work which is necessary to make sure that our clients' ends are achieved within their means. We also strive to be accessible to our clients whenever they need us and promptly respond to calls, e-mails and other communications. We are available for evening and weekend appointments, and our attorneys speak French and Spanish for clients who so require. Our attorneys are passionate about the practice of law and have earned a reputation in the local legal community for their commitment to the legal profession and the community at-large. For assistance with a business transaction or civil litigation matter, including oil and gas and real estate, contact Noriega & Oldaker, PLC. Noriega & Oldaker, PLC, provides professional legal services to clients in Fresno, Kings, Tulare, Kern, Ventura, San Luis Obispo, Los Angeles, and Orange Counties. Business and commercial law lies at the heart of the law practice of Noriega & Oldaker, PLC. We assist all types and sizes of business with their initial and daily legal needs, whether the business is just starting out, growing and expanding, or winding up operations. Our lawyers have a great deal of experience with oil and gas companies, real estate and construction issues, and can assist in negotiating leases, sales and acquisitions. We are available to serve as corporate counsel throughout all phases of the existence of a business. Formation of Business Entities: An initial decision in starting a business is determining what type of entity to operate your business in. This decision is significant, because different corporate forms have vastly different implications with respect to: -The amount of taxes paid by the company and its individual owners -Liability of the company and personal liability of its owners and officers for acts of the company or its employees -Ownership, management and control -Change of ownership or change of activities the company engages in -Winding up or dissolution Partnerships and corporations are the traditional forms available for businesses. Advice and consultation from an experienced business attorney is essential to deciding upon the best form for a new business. The main forms available to California businesses include: -Sole Proprietorship -C Corporation -S Corporation -Limited Liability Company -General Partnership -Limited Partnership Our background and experience enables us to guide our clients in determining which form to choose. Further, we can prepare and file the necessary legal documents required to establish the new business entity. We can then continue to assist in maintaining the entity in compliance with government recordkeeping and reporting requirements. Establishing the entity correctly from the start will help minimize any troubles and avoid potential disputes in the future. Contracts and other Business and Commercial Transactions: From purchasing property and equipment to hiring employees to making sales, the contract is the basic tool present in nearly all agreements and transactions. Having contracts drafted or reviewed by competent legal counsel helps to ensure that your rights and interests are protected at the time of the transaction and in the event of a dispute arising later on. We can assist in negotiating, drafting and reviewing contracts, including contracts related to the purchase and sale of equipment and property, employment contracts, and contracts between merchants. 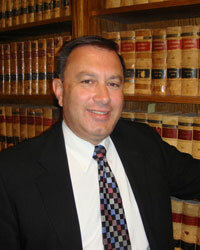 Robert J. Noriega is the managing member of Noriega & Oldaker, PLC. Mr. Noriega was raised in Bakersfield, attended Garces Memorial High School, and has deep ties to the community. Prior to attending UCLA Law School, Mr. Noriega worked as a Staff Aide to Congressman William M. Thomas. A member of the Order of Barristers at UCLA Law School, Mr. Noriega has also been honored as a Distinguished Advocate and Chief Justice of UCLA's Moot Court Honors Program. 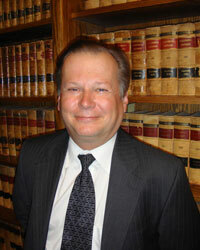 He also served as an intern to U.S. District Court Judge William J. Rea while attending UCLA Law School. Mr. Noriega maintains a diverse practice in all areas of business and civil law and litigation, including employment law, real estate litigation, commercial transactions and disputes, personal injury, and other civil and business torts. Mr. Noriega has attained an AV Preeminent rating by Martindale-Hubbell for ethical standards and legal ability. Donald Oldaker is an Associate Attorney at Noriega & Oldaker, PLC, practicing in the areas of business law and civil litigation. Mr. Oldaker concentrates his practice in oil and gas law, including contracts and litigation, and in estate planning, including wills and trusts. Mr. Oldaker does both transactional and litigation work in the area of contracts, and has experience in business and construction litigation as well as personal injury cases. A native Canadian, Mr. Oldaker attended law school at the California Pacific School of Law and served as an Instructor in Contracts there in 1995-96. Prior to beginning his legal career, Mr. Oldaker worked in the oil and gas industry.